XSEED Games/Marvelous USA has recently announced the release date for Killer is Dead, the latest Suda51 offering that was originally announced for summer of this year. It’s now slated for release on August 27th in North America. Having a release date announcement is great- but like most of XSEED’s offerings, the great news for North American fans doesn’t just end there. 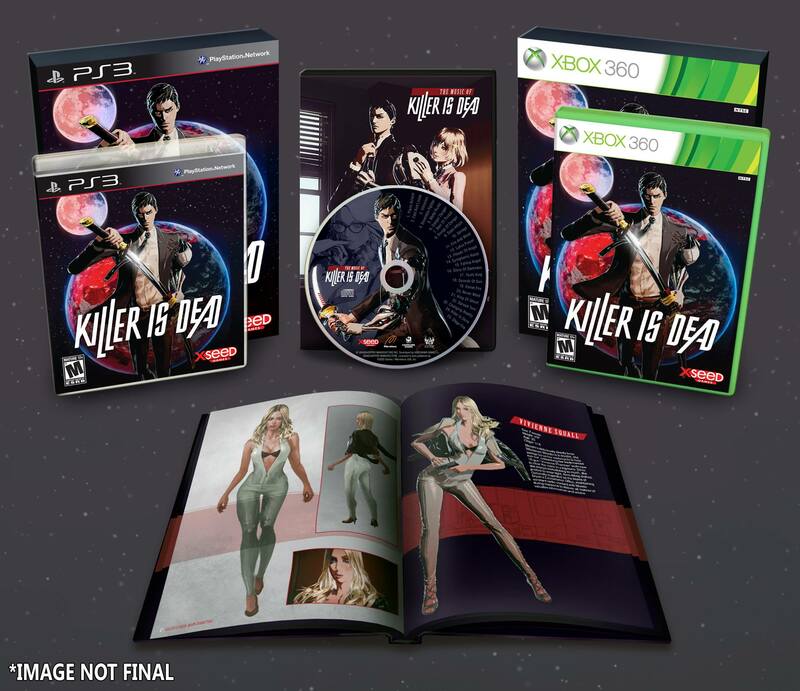 XSEED has also announced a Limited Edition for Killer is Dead, a ‘First Print Run Edition’ if you will, meaning the initial batch of copies will all be Limited Editions. If you had already pre-ordered the game it will be upgraded at no extra cost. The Limited Edition will have its own special packaging that will contain: the game (of course); an 80-page hardcover artbook in full color; a soundtrack CD containing 25 songs; and the ‘Smooth Operator’ DLC pack containing bonus in-game goods including ‘Gigolo Glasses’, alternate costumes for Vivienne and Mika, a bonus ‘Gigolo Mission’ with Betty, and an additional “Episode 51” with the vampiric Sebastian. Killer is Dead is multi-platform title for the Xbox 360 and PlayStation 3. If you’re interested in the bonuses above, you might want to pre-order it soon.